The Tau Chapter honored Wade Kilpatrick as this year's Kappa Sigma Tau Man of the Year during Parents' Weekend celebration on November 5. A self-styled businessman with a quick wit and ready smile, Kilpatrick has a talent for creating opportunities and leveraging smart business investments. He also knows how to enjoy life and makes sure those around him enjoy it as well. During his years at the University of Texas, Kilpatrick served two terms as social chairman and as Grand Master his senior year. He has been an active and continuous Tau Trustee since the late 70s. For more than 25 years, he has been an enthusiastic fundraiser for rush and chapter activities, hosting annual receptions for Alumni in his home. Kilpatrick was very involved in the Kappa Sigma House move to the present location and has made substantial financial contributions toward that effort, as well as to the Tau 125 campaign to raise funds for the Lodge and future Kappa Sig House. He served two terms as Tau Trustee president and was chairman of the Building and Design team for the Lodge. "No one has worked harder or more effectively than Wade Kilpatrick on behalf of the Kappa Sigs. The Tau Chapter would not be where it is today without his efforts," said Hagen McMahon, Jr., 2010 Tau Man of the Year. 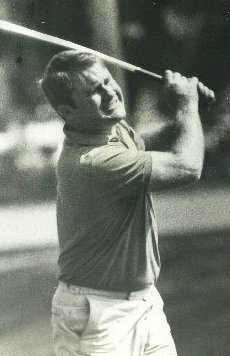 Kilpatrick graduated from UT in 1970 and earned his JD degree from The University of Houston Law School. 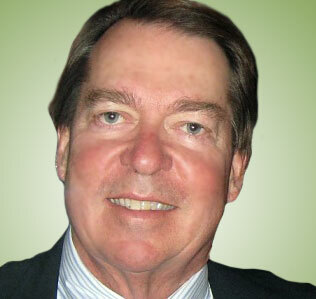 In 1975, he began a law practice with a focus on real estate, banking and commercial transactions. Along with two associates, he purchased a large title insurance agency which grew to be one of the largest title insurers in Houston. Prosperity abounded until the real estate market crash of the late 80s. Kilpatrick refers to the years that followed as "the humility years." But true to his character, he got back into the market and purchased new commercial real estate properties and other commercial interests. 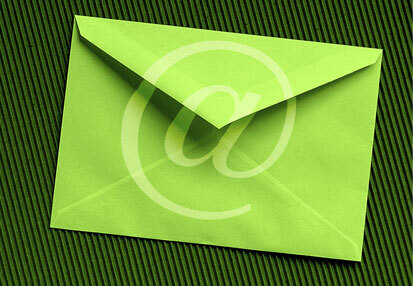 He remains active today in managing a variety of related private equity investments. Kilpatrick and his wife, Melinda, have been married for 38 years and have raised three very accomplished children: Gaines, Brian and Kelly. He and Melinda divide their time between their Houston home and their Hill Country ranch in Sisterdale. They are active on two prominent Land Trust boards, The Cibolo Conservancy and The Galveston Bay Foundation, through which they work to protect and preserve environmentally sensitive lands and habitats. 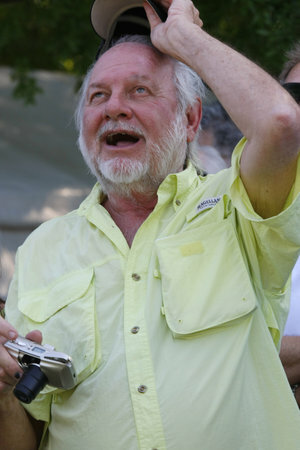 Since 2000, Kilpatrick has been the lead singer for the vintage rock and roll band "Mid Life Crisis and the Hot Flashes." The band has played numerous high profile events over the years, including inaugural events for President Bush and President Obama. Kappa Sigma Tau Man of the Year Wade Kilpatrick (Tau '69) (third from left) with fellow Tau Trustees (left to right) Jim Pritchett (Tau '71), Hagen McMahon (Tau '66) and Joe Longley (Tau '61). Charles H. "Charlie" Bankhead (Tau '57) a Kappa Sig remembered as a loyal friend and mentor to many who followed him, was honored posthumously as Tau Man of the Year on November 5. Bankhead died March 11, 2011. After graduating from Arlington Heights High School in Fort Worth, Bankhead enrolled at the University of Texas at Austin in 1956 and pledged Kappa Sig in 1957. An outstanding athlete, he ran on the UT track team and was Southwest Conference pole vault champion. Representing Kappa Sigma in the UT Intramural program, he helped the Kappa Sigs win almost every sporting event on campus. "Charlie was a true leader in everything he did," said Phil Pritchett (Tau '59) in a tribute to Bankhead during the awards ceremony. "Everyone enjoyed being with Charlie. I'm proud to have been his friend." After graduating from UT, he went to work in the Louisiana oilfields as a mud engineer. He later moved to Dallas where he had an accomplished career in securities and finance. Marcia Bankhead accepting Tau Man of the Year award posthumously for her late husband, Charles Bankhead. Presenters from left to right: Phil Pritchett (Tau '59) Jack Kyle (Tau '58). He is survived by his wife Marcia McMurtry Bankhead of Dallas, daughter Elizabeth Taub Bankhead of Dallas, step-children Christian Liston Reid of Denver, Colorado, Elizabeth Liston Jahn of Dallas, Jack D. Liston, III of Dallas, their spouses, and his nine beloved grandchildren. An avid golfer, he was a long-time member of Brook Hollow Golf Club, where he served on the board of directors. He treasured his many deep and lasting friendships, his family, his dogs, playing gin rummy, and spending time at his farm in Mabank, Texas. Jim Pritchett (Tau '71), Texas Kappa Sigma Education Foundation president, is presented the Frank C. Erwin Award by Tau Chapter Grand Master Matthew Ziemnicki (Tau '08). Jonathan Evans (Tau '08) received the Philip Moore Award, the Senior honor for outstanding contributions to the Chapter. 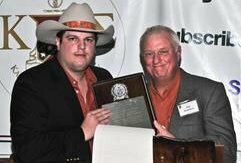 Kevin Redman, (Tau '09) was chosen for the Gabe Higgins Award, the Junior honor for outstanding contributions to the Chapter. 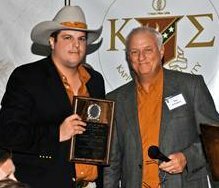 Tau Chapter Grand Master Matthew Ziemnicki (Tau '08) is presented with an Award of Appreciation for his outstanding service to the Chapter by Jim Pritchett (Tau '71), president of Texas Kappa Sigma Education Foundation. 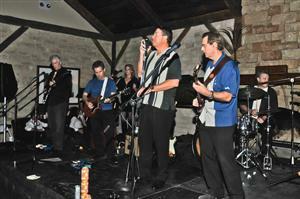 2011 Tau Man of the Year Wade Kilpatrick and his band "Mid Life Crisis and the Hot Flashes" played for an enthusiastic crowd at the Kappa Sig Lodge following the awards ceremony on November 5. Enjoying the Parents' Weekend frat party are Allison Bailey, Joe Bailey (Tau '73), Libby Alcorn, George Alcorn, (Tau '53 ) and Tucker Willis (Tau '59). Kappa Sigs are loaded with legends, but none more colorful than Bob "Daddy-O" Wade. Most famous for his oversized sculptures of Texas symbols, "Daddy-O" is an artist noted for "helping shape the 1970s Texas Cosmic Cowboy counterculture." 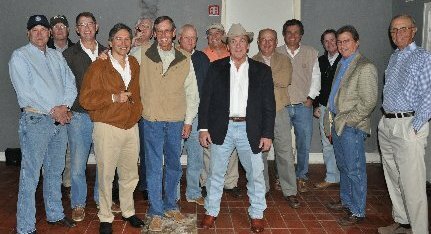 As featured Alumni Speaker at the Kappa Sig Lodge on September 26, Wade regaled the Tau Chapter with stories from his college days as a Kappa Sig in the early 60s. As fate would have it, his Alumni Speaker appearance marked the golden anniversary of a life-changing event. "It's an honor to be here on the 50th anniversary of my 1961 pledge class date with guys like 'Mother Hagen' McMahon, Nick Kralj, Joe Longley and many other great and successful characters," said Wade. Wade recalled that a high school friend's older brother encouraged him to hook up with the "Sigs" when he got to UT and to "tell them Machine Gun Kelly" sent him. Arriving from El Paso, Wade's customized hot rod, slicked-back hair and hipster language quickly earned him the lifelong moniker "Daddy-O," given to him by the older Kappa Sigs. "Then they cast me in a skit for the Varsity Carnival playing a native American," said Wade. Bill Wittliff (Tau '59), screenwriter/producer for feature films including Lonesome Dove and The Perfect Storm, was one of the writers. Rife with bawdy humor, the skit raised many eyebrows in the audience. "As planned, we grossed out the sororities," said Wade. 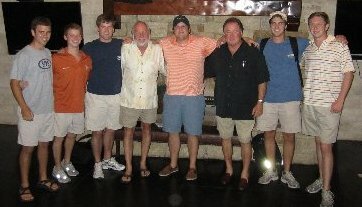 Wade spoke fondly of many lifelong friendships that began at the Kappa Sig house, including with one of his closest friends, Monk White (Tau '61). "Monk and his Fort Worth guys introduced me to country music. I can still hear him singing "There stands the glass." Much of Wade's artwork is now in the collections of Tau brothers. "For a guy from isolated El Paso, it's been an unbelievable journey of friendships and networking. Pledging Kappa Sig was one of the best things I ever did," said Wade. He concluded by encouraging the actives to cherish their Kappa Sig bonds and stay active in the Chapter. Wade received a BFA from UT and an MA from the University of California at Berkeley. He has received three NEA grants and his work has been included in Biennials in Paris, France; New Orleans, LA; and the Whitney Museum of Art, New York, NY. Collections include Chase Manhattan Bank, AT&T, the Menil Collection, the Houston Museum of Art and the Austin Museum of Art. He lives in Austin with his wife, Lisa. Their daughter, Rachel, is a senior -- and an art major -- at UT. Robert Glauser joined Kappa Sigma in 1972 and would have been initiated the following year -- had it not been for a car accident. Fortunately, he made a full recovery, returned to UT and today is president of Glauser McNair, a landscape contracting company in Houston. On November 4, Glauser, with the help of more than a dozen Tau brothers, was initiated into the Kappa Sigma brotherhood. Mustaches were the fashion this November at the KS House with dozens of Kappa Sigs sporting newly grown facial hair to help raise funds and awareness to fight prostate cancer and other cancers that strike men. No-shave November, known as "Movember" is an international campaign that raises funds for the Prostate Cancer Foundation, LIVESTRONG and the Movember Foundation. Matthew Ziemnicki (Grand Master, Tau '08) and Adam Seitzman (Tau '10) were interviewed by Austin's Fox 7 News about their efforts to support the Movember campaign. Ziemnicki explained how he and others used Facebook to spread the word, posting frequent photo updates throughout the month showing the growth of their mustaches to encourage friends and family to support the cause. To learn more about the Movember campaign, visit us.movember.com. The Tau Chapter and Alumni extend a heartfelt and enthusiastic Thank You to the parents who gave so many hours of their time and talent to organize and host Parents' Weekend on November 4 and 5. The parents' and sons' reception on November 4, the silent auction, honors ceremony and celebration that followed on November 5 were beautifully orchestrated and enjoyed by all. 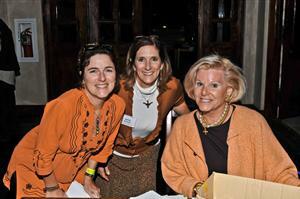 Keeping Parents' Weekend running smoothly are Parents' Association leaders (left to right) Julie Tysor-Taetz, treasurer and past president; Beth Hotze, Parents' Weekend coordinator; and Elizabeth Horne, president. Elizabeth Horne, Parents' Association president, organized the many details and worked tirelessly to prepare the Lodge and grounds for the event and make everything beautiful! She also organized the silent auction and did an outstanding job of getting donors on board with exciting big-ticket items to raise money for some much-needed repairs and upgrades for the Kappa Sig House and Lodge. Beth Hotze, Parents' Weekend coordinator, handled the many behind-the-scenes planning and hosting duties that made everyone feel welcome and glad to be there. Julie Tysor-Taetz, treasurer and past president, was not only a huge help with Parents' Weekend, but also collects the dues and other funds generated by Parents' Association activities, pay its bills and maintain its financial records. Patricia Redman, communications coordinator, handles the awesome tasks of compiling and publishing the parents' directory and keeping everyone in the loop on Parents' Association activities. The Chapter and Alumni appreciate the many hours spent and personal sacrifices made by all of you who make these Kappa Sig events so meaningful and special!